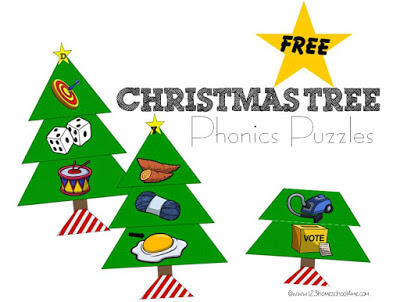 Learning your alphabet letters and their sounds has never been so much fun as with these free Christmas Tree Phonics Puzzles for Preschool, Kindergarten, and 1st grade kids. This is a fun educational activity for December. 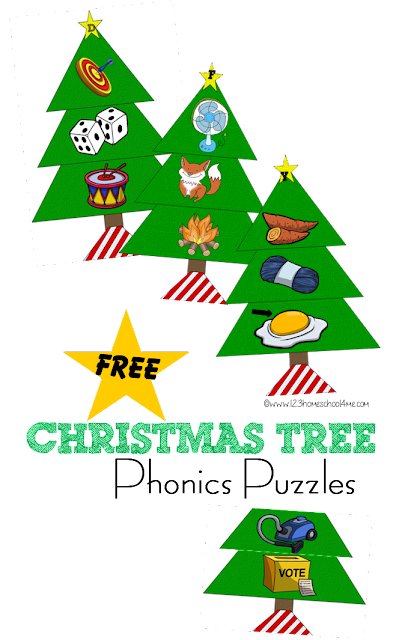 Print all 13 pages containing the Christmas Tree Phonics Puzzles for each letter from A to Z on color on cardstock or use a laminator for durability. Cut apart each tree into 3 sections. 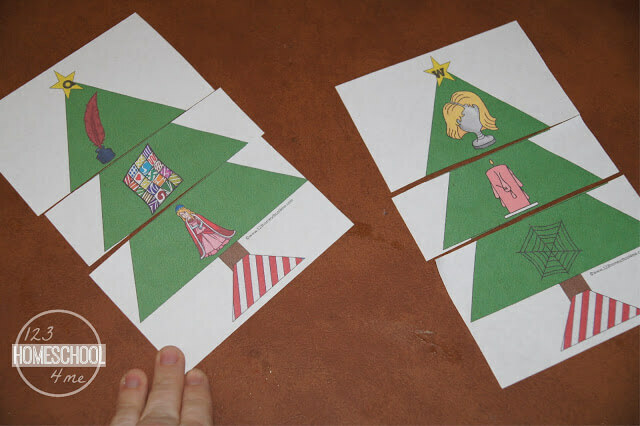 Mix pieces up and allow your child to put the trees together. 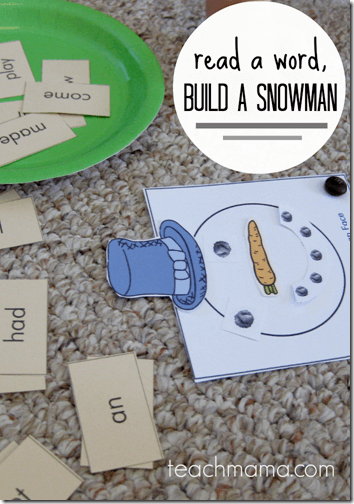 This will help kids learn vocabulary, practice alphabet letters and their sounds, and have fun learning at Christmas. Note: For younger students start by giving them only a couple trees at a time.